Kunek was a genre smoothie. Toss some indie, folk, post-rock, and ambient in a blender and set to awesome. In August 2008, Kunek announced via their Myspace that Kunek will live on only through their fantastic but lone album, Flight of the Flynns. Five members of Kunek have transferred to a new band under the Other Lives moniker. 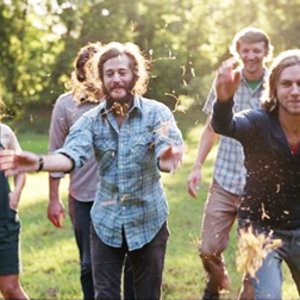 The debut album from the Stillwater, Oklahoma band is finished as of August 2008, produced by Joey Waronker (Beck, REM) and will be released via TBD records (Radiohead, Underworld). Their sophomore album, Tamer Animals, was released in May 2011 on TBD records.